I am currently working on a new project with a colleague who is a whole self practitioner with experience with alienation, work which she recently termed ‘the valley of death’. This conceptualisation of working with parental alienation is very close to my own feelings about this work, which is very much at times like working in the killing fields. 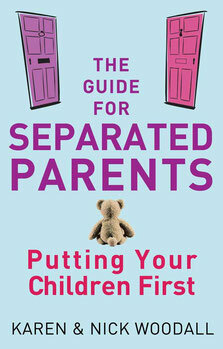 I have written frequently about the need of your child to have one healthy parent who can, eventually, offset the worst of what has been done to them by the alienating parent. That is all well and good but how do you keep yourself well and healthy throughout what can be a marathon period of time during which you know your children are being harmed? Being biologically hardwired to care for your children, not being able to do so because their minds have been poisoned is a cruel and unusual torture that you are forced to undergo year after year in some cases. Going mad, turning bad, feeling sad to the degree where the very life force that flows through you becomes poisoned too, is a real risk for all alienated parents. The lack of real acknowledgement and support that is available to support you is corrosive and damaging to your very existence on the planet. As is the lack of acknowledgement of your experience of having been alienated. Whilst there is such a lack of understanding in this world about the problem, many of you will face disbelief or worse, the belief that if your children are not with you and do not want to see you, it must somehow be your fault. Bearing that injustice alongside the horror of knowing that the part of you which lives within your child has been steadily erroded and killed, can bring insanity to some and despair. And why wouldn’t it? What parent would not feel all of those feelings in the same circumstances? The first part of coping with your suffering is knowing that your suffering is normal. It demonstrates your health. If you did not feel those feelings you would be a psychopath and your child would be better off without you. Accepting that what you feel is normal in the face of what is unfair and unjust and desperately cruel is an important step to take. I call this working in the killing fields when I find myself at the low point of despair, that point where I have done all that I can do but I know that despite that the child’s mind and soul has been taken over so completely that I cannot intervene or that my intervention is making things worse for the child not better. That point comes when I know that the court cannot hold the structure in place to give enough impetus to change the power dynamic. That happens for many reasons. 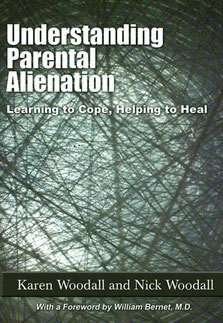 Sometimes because professionals are pulling in different directions, sometimes because a parent has done something that has been used by the other to bind them further into the illusion, sometimes because the damage done to the child is simply too much and to intervene would not in fact change anything. My supervisor said to me once that if we were to cut some of these children open (forgive the imagery), the poison running could not be cut out because it runs in their very DNA. What hope for children in such circumstances? Very little indeed. Telling a parent that their chances of saving their child are minimal is one of the worst aspects of this work but we do it and if we can we provide the after care which is so desperately needed. Underneath the nastiness of the litigation process, are people whose hearts are broken and whose minds are fragile as they are left to come to terms with their losses and the sorrow that brings. When we work with parents in these circumstances we do not work to give false hope but to help them to identify what is possible in terms of reconnection in the future and what they might expect to happen. Then we turn our focus to supporting that parent’s rest of life journey because we know, that in almost every case of alienation, a child will need that parent one day. And when they need that parent it will be likely to mean that the harm done to them has become so bad that they can no longer cope in the world. When they reach that point they are going to need someone to lean on. If you are not there or worse still if you are but you are a shadow self because of the pain you have suffered you cannot help them which leaves them lost in the wilderness of their own lives for a very long time. If you cannot resolve the alienation in the present moment and you know you have done all you can do, put the burden down and refocus upon your own self and soul in preparation for when they do need you. And they will. Reconceptualise yourself as your child’s healthy parent, put down the shame and the guilt, you have done all that you can do. Love the world that you live in and retrain your brain towards what is good about it not what is unfair, unjust and full of hatred. That doesn’t mean adopting a zen like persona or pretending that it doesn’t hurt, it means training your brain to appreciate those things you do have instead of zoning in on what you don’t have. Look at the birds, watch the world go by, take up a hobby, walk, move and put yourself back into the flow of life, let go of the hatred and let the love in, even if it feels difficult at first, it will come. Care for yourself. Eat well, limit alcohol, do not take drugs, cook, walk, swim, write, find people you can laugh with. Withdraw your locus of self from the soul of your child. This means stop seeing yourself as only alive through the being of your child. You brought this child to birth but you cannot help them at this time on the earth. You will always be their parent but for now your sense of self must not be located in the being of your child it must be located in you. Grieve for the loss of the time and the restraint on your capacity to care for your child. Grieve for yourself, grieve for your child. Make rituals. Create boundaries and endings. Not forever endings but endings for this particular part of your child’s life. Acknowledge what could have been and grieve for it. Eat well. Limit alcohol. Do not take drugs. Talk about your children, show people pictures. If you are asked if you have children say yes I do and I miss them every day because I don’t see them, they have been alienated from me. Say it. Make other people hear it. Do not labour the point but do not hide it either. The more people understand about what has happened to you the more help and love you will receive. Own the fact that you did all you could. Own the parts you wish you had done better. Own it all. It is your experience. Own it, feel it and then let it go. Stay healthy and well. Eat good food, drink small amounts of alcohol, avoid all drugs. Recognise that no-one is omnipotent, no-one can change everything, life has a way of taking over and there will be a balancing, eventually. What has been done is a great wrong. It will be put right, one day. Find people to talk to about the world, find something that gives you hope. There is always hope. Life would not be life if hope did not exist. Share your journey in a journal, online (but don’t let the bitterness out online it is completely contrary to healing and it is potentially harmful to your children too), privately or in a journalling group (more about that soon). Love the child inside of you. If you are alienated from your children, explore the back story to your arrival on this earth, were you alienated from someone when you were a child? Did someone have coercive control over you in your childhood? Dig deep, explore, find out and get perspective on your life in the here and now. It is not all pain and suffering. Allow yourself to notice the good things that surround you. Eat well, limit alcohol, avoid drugs. It can be hard to do all of these things so don’t try them all at once, try one thing each week and then add another in. Know that there are people who understand what you have gone through and that it IS real it IS damaging and you CAN cope with it. We are constantly thinking about new ways of helping families and building our services to include as much help and support as we can offer. Some of our projects have taken us time to bring to birth but they are on the way and the focus then will very much be upon helping alienated parents to help themselves. I hope you will join us in sharing that new journey everyone is welcome. The lack of real heading and sustenance that is available to maintenance is corrosive and damaging to your very existence on the planet. There is not enough information available to help those of us who have lost children through this process. It is worse than death... there is no end,no finality... the constant possibility of seeing them again, at some point makes letting it go almost impossible.